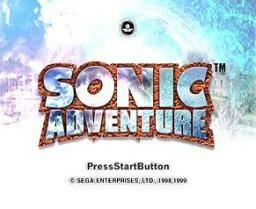 Play Sonic Adventure online with Sega Dreamcast browser emulation for free! 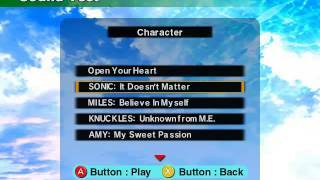 Sonic Adventure (DC) game rom is loaded with features in our flash, java and rgr plugin emulators. Nothing to configure, we've done it for you! Sonic fans were vastly disappointed when the Sega Saturn didn't deliver a 3D sonic game for the system. However, as the Dreamcast came out, there were two 3D sonic games (well, 3 if you include Sonic Shuffle....) for the sonic fans to enjoy. They introduced voice acting to the characters (many of them were indeed fitting to the characters personality), a 3D world to explore, and many other things that indeed took the game one step beyond, making it a very well known and loved game to those that owned a Dreamcast for those two short years. Now, I never played this game, only watched my brother play this title. It was the GameCube version, and ironically enough, it was that Sega game ported onto a Nintendo console that got us locked into Nintendo. Funny how that happens considering the fierce war they had 14 years back (at the time). Still, it might be a good game to play. Let's have a look. The first thing I want to say about this game is the intro song: Open your Heart by Crush 40. I gotta say, wow. I don't know how I didn't hear this song before, but it's the start of some awesome songs from a great band. It's not often you hear vocals like this in a game. Anyway, enough about that, onto the game. 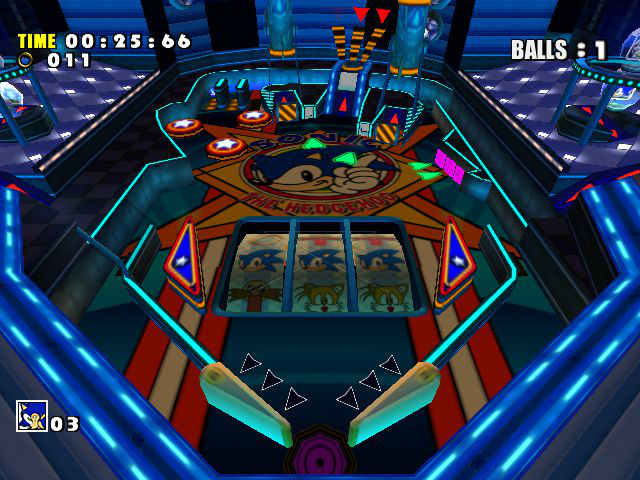 As you start, you notice you can play as six different characters, much like in Sonic Advanced. You can see what they are, just greyed out so you can't select them. You can play as Sonic (obviously), Tails, Knuckles, Amy, Big the Cat (a big purple cat, wonder what he is used for), and a robot called E-102 WHY.... Oh, I mean "Y", as in the Greek symbol for "Gamma". Man, playing as a robot is going to be awesome. I bet I get to blow stuff up. The story starts off with Sonic, life loving and energetic as always, is jumping across the roof tops, probably appreciating the world as it is. This is where he can talk, introducing a slight touch of arrogance to his personality, which no doubt would evolve and develop greater and greater into an annoying feature around him that will probably get old and stale. Right now, to be honest, it's a breathe of fresh air and suits him nicely. Where was I? Ah yes, the town. 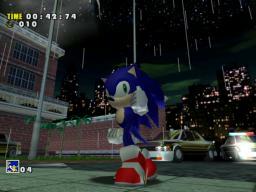 There is suddenly the sirens of police cars about, and sonic goes to help. There, in the city hall, is a blue being with crab like claws. 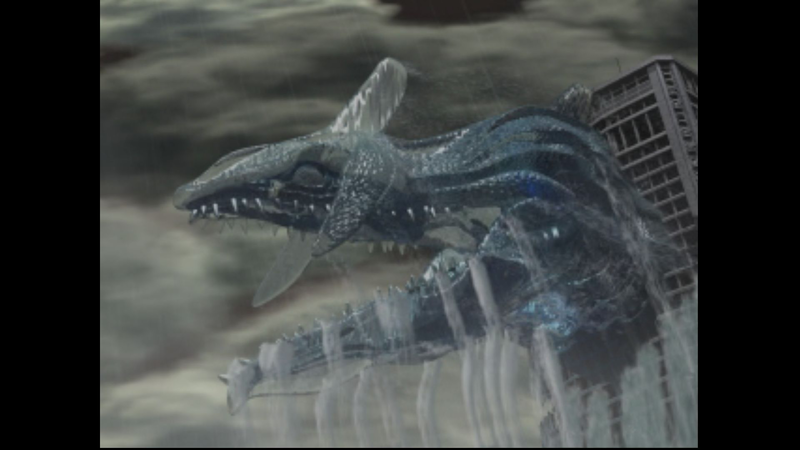 I wonder what it could be made out of....Maybe the cyan colour and slight ripple effects in it's body would suggest it's made of water. Maybe the police officers should save their bullets and.....fire anyway? Well, they fired their guns, and surprisingly, the bullets hit the creature, and then fell out, doing no damage. Some solid water there. Sonic comes in and fight the creature, and the game starts. I love games that have a boss battle as the first thing you do, it shows there's going to be something epic near the end. The rivalry you make with the first boss you fight makes the final fight all the more enjoyable (assuming the last boss is the strongest form of the first boss). You fight "Chaos Zero", which is an easy thing to do. You can even try out all the different buttons without much difficulty. After you defeat the boss, the blue thing turns into a puddle and goes into the sewer. Then, Eggman (who appears to be watching the battle from a close distance) blurts out that the blue creature is Chaos, God of Destruction. Then he laughs. I don't know what surprises me more, that fact that Eggman was announcing his "secret weapon" pretty much in front of sonic, or the fact that sonic didn't hear him. Does Eggman always stand in an area where sonic could easily see him and announce his plans? If he does, then maybe that's why sonic always seems to foil his plot. He must have a slight case of SEVS. After that, sonic is relaxing on a beach, when Tails on his Tornado comes crashing down. Sonic goes to help via your first stage level after some overly done animation with sonic's spikes. After that, and this is a point I really want to make here, you find Tails, go back to the hotel nearby, and you find out that Tails "just happened to find" one of the seven Chaos Emerald. That's what he said. Just happened to find it, one of the seven in the world. I find this hard to believe. And then he says that it holds unlimited power. This annoys me, as unlimited is the same as infinity. Infinity is a word used to describe "never-ending". 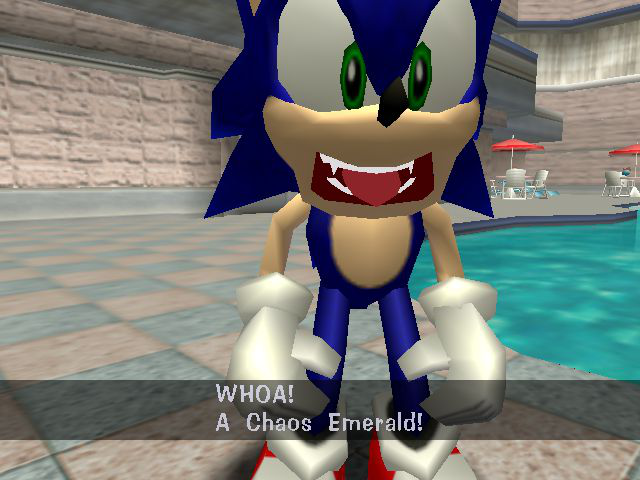 If one Chaos Emerald has unlimited power, then why do you need seven to go into the sayin like Super Sonic form? One holds unlimited power, so one should be enough to do that. Seven times infinity still equals infinity, so why do you need seven? Doesn't. Make. Sense. *deep sigh* Anyway, after that, you can play as tails. When you come across a character in a game, you can play as them. You can also freely explore the world around you (providing you got that far in the game). You can talk to people, but they normally say something that is completely irreverent to the plot of the game. Some parts are only available to certain characters. Each character has their own unique game style. Sonic is your classic get to the end of the stage game play. Tails levels are suspiciously like that of a sonic level, only you have to race sonic. He really follows sonic everywhere. This is where the arrogance comes in. This fox, about six years old, is being egged into racing a hedgehog across dangerous plains and areas where certain death might occur, and is thrown insults if he can't beat him in this race. Wow, what a jerk. The Knuckles side of the story is that he is on the mysterious floating Angle Island (but I see no angles on there, rather disappointingly), guarding the Master Emerald, which is like a really big Chaos Emerald, only it isn't (I wonder how much power that contains....). Angel Island crashes into the sea, and the Master Emerald shatters into several pieces. Knuckles undying love for this giant gem means he is compelled into restoring it. So his levels consist of treasure hunting. All you have to do is explore around the level, following the radar until one of the icons below flashes green. Explore that general area until is flashes yellow, orange and then red, indicating you are closing in on the shards location. Once you do, then you need to find the other two pieces hidden somewhere in the level. This can take some time, and requires a little bit of guess work. The cut scenes in this side includes encounters with Eggman not seen in others. Amy's side of the story is the shortest (with only three levels). 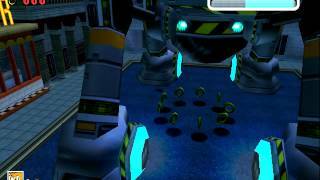 She is running away from a robot attempting to kidnap her, so each level involves you running away from the robot, while getting to the end of the level. You can do some attacks with a hammer and jump pretty high using a special move. What I like about some sides of the story is that they intertwine with each other, in this case, Amy interacts mainly with E-102y. Amy finds a bird that Eggman, for some reason, is very interested in, and E-102y comes in to take it from her. However, she manages to get through to him, and he decided to let them escape. Now, E-102y has probably the best story in a sonic game. It's all about the character development (which, to be fair, Shadow had plenty of, until they damaged that sense somewhat with that game Shadow the Hedgehog) that make this story particularly touching.....for a sonic game. It starts off with E-102 Gamma being created, and then he is put to the test by fighting his stronger brother E101 Beta. When you win, you are assigned with a mission to catch a frog called "Froggy", which supposedly has Chaos' tail in, and a Chaos Emerald in him. You catch Froggy, and return to the Egg carrier. Since the other robots failed him, they are dismissed and teleported away with a scold from Eggman. You could almost see the sense of pity on E103 Delta's face as he is teleported away. This seems to hit E102 hard, and as you go further along the story of E102, he will see things that question his nature and almost certainly make you feel a little sorry for him. It's almost like a work of art....AND YOU GET TO BLOW STUFF UP, AH YEEEEAH! Some say E102 is a slow, hard to control character that put the pace of the game into sluggish perspective, but I always wonder why people say this. E102 is quite frankly the best character in the game. He;s fast moving, you get to use lazer-guided missiles to blow stuff up, you get to rake up combos, it's just awesome. Sure, it gets a little old after the third or forth level, but the story makes you want to keep playing, and the bosses are quite entertaining. Which leaves me with Big the Cat. What's his story? Well, in the middle of the jungle, Big the Cat and his best friend Froggy (OMG! Foreshadowing!!!) are resting. Froggy gets up early, and goes for a walk. He finds a shiny, gem-shaped thing that just so happened to be Big's "lucky charm" (no doubt a Chaos Emerald), and then runs off. Big wakes up, and can't find his friend. Big has a rather.....big voice shall we say? It's rather deep, but hey, simple cat, simple pleasures. I wonder what Big the Cat does as a level style. You go into Twinkle Park and.....no......just.....no. No, no no no no no. I must be going mad. It's telling me that the level objective is to catch Froggy.....with a fishing rod. Fishing.....in a sonic game. And they say E-102 slowed down the game.....even though there was fishing in the same game? How can fishing be expected in a sonic game? It is the last thing I expected to be in a sonic game. Fishing required patience (as it does in this game), which isn't very consistent considering what the other characters can do. If I wanted to play a fishing game, I wouldn't pick up this game! The fishing process is long and painful. You need to wait for Froggy to catch the hook, and be careful not to waste your time with the other fish. Then, you need to reel in Froggy, being careful not to snap the line, or you'll lose a live. There are four levels of this, each as boring as the last, and even a boss for this character, if you can believe that. It's stupidly easy, I said "That's it?!?" quite a few times. Why did they bring in a character that had to use such a slow paced skill such as fishing? Seriously......fishing. it slowed down the pace of the game considerably. In fact, I want to know where this guy came from. Well, at least something good happens when you clear every character. Each time you clear a mission, you get a thing called an Emerald. These are fairly useless, apart from showing achievement. Each mission has three classes, Class C, B and A, each one increasing in difficulty. Each character has a different formula to follow when they go up a class, weather it's clearing a level with a certain amount of rings or......catching heaver fish....But you need to get to these by going to the "missions" section in the main menu and pick a different class to get that Emerald. There are even Emeralds hidden in the hub world, which is a very nice touch. Some can only be obtained by certain characters. Of course, there are some mini-games about, such as the Twinkle Park Car Track Thing, where you can go around a track in a car for an Emerald. I find it funny how sonic is in a car, yet he could probably run several times faster than it. Ah, to find such simple flawed logic... Then there is the Chao garden. Chao are small, blue, adorable creatures that you can raise. You can find different coloured eggs around the hub world, and even transfer them to Sonic Adventure 2. Ah, memories....Although I didn't put much care into Sonic Adventure 1 Chao. It's in Sonic Adventure 2 that I put most of my care and love into them. The controls are alright, sometimes I suddenly fall off the edge for some strange reason, sometimes I think it's the controls, as they think I'm going a different way due to camera angels, and sometimes I feel it's the level design, but I dunno. I can never work out one from the other. The music is both catchy and....fun I suppose. I didn't really notice the music all that much. It blended in well with the game, so much so it sort of camouflaged into the background. Maybe it's the fact they used (for the most part) the same type of music in the cut scenes and such. It's really annoying, as I am writing this, I am trying to remember the Twinkle Park theme, as it was really catchy, but all that is coming up in the Green Hill Zone music. Overall, I give this game a 7.9/10 The game certainly was enjoyable (.......fishing......) for the most part. 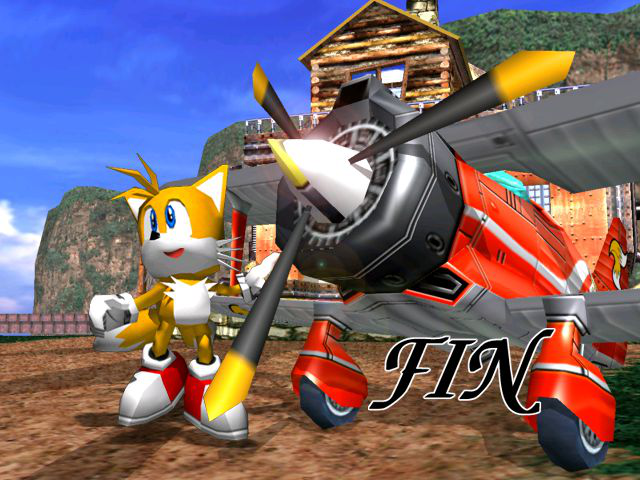 The game had loads to offer, with it's Chao gardens and hidden emeralds and it's second and third classes of missions, it would take a degree of patience to go through everything. Even though the storyline was laughable at times, on the whole it is a decent game, and it is worth playing. The final boss really is worth it, even if you have to play as Big to get there, and the song is awesome, so do yourself a favour, play this game and get to that point. Yet again Sonic and friends find themselves wrapped up in the schemes of Dr. Robotnik. This time he plans to exploit the power of Chaos, a malevolent being that feeds upon the power of the Chaos Emeralds. 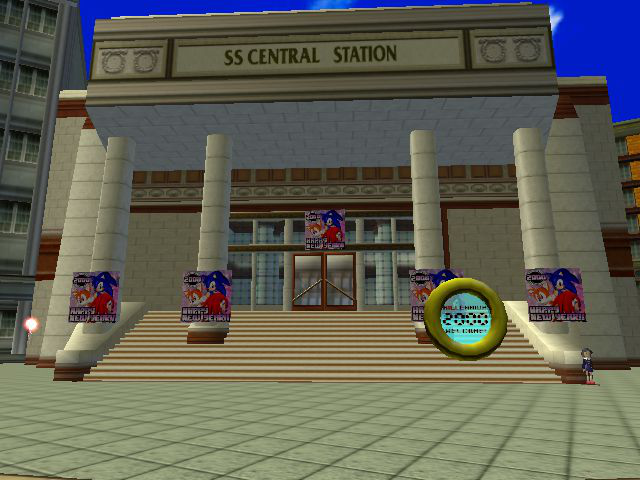 In their own ways five heroes will do what they can to save Station Square and, perhaps, the entire world.The player can select from which character to play after meeting them with Sonic, and each has their own unique version of each level. 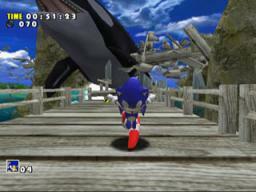 Sonic's levels involve racing through a level as quickly as possible, destroying any robots along the way. 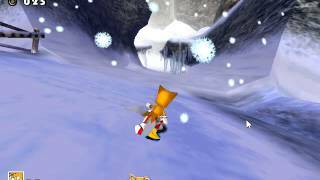 Tails can hover over distances, and his levels are similar to Sonic's except that he must beat an opponent to the finish line. Amy can't charge up ramps or run as quickly as Sonic and Tails, but she does have a giant hammer she can break obstacles with. The goal of her levels is to avoid being captured by a robot sent after her by Dr. Robotnik. E102 Gamma is a slow, difficult to maneuver robot, but it has guns and missiles that can lock on to several targets at once, chaining together attacks and earning a higher score and more time on the clock. The goal of its levels is to reach a boss enemy and destroy it before time runs out. The final character is Big the Cat, a fisherman searching for his lost frog. Big's levels are almost entirely devoid of action or fighting; he just fishes. 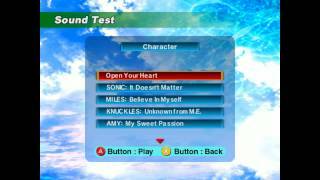 Each character can find items that increase their abilities as the story progresses, such as a ring for Sonic that lets him home along lines of rings, or improved lures for Big. 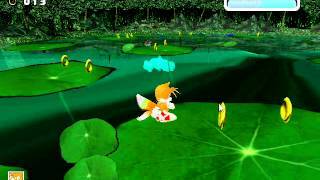 A final chapter wrapping up the story is unlocked after all other characters have been completed.Additionally each of the characters can visit the Chao garden where they can raise baby Chaos. By petting, feeding, and showing animals found in levels to the Chaos they can grow stronger, and optionally be put into races against other Chaos. As well each level in the game has additional objectives that can be completed to acquire extra emblems, although the emblems don't do anything in this version of the game. Finally at one time it was possible to go online and download additional levels and bonuses in the game, such a Christmas theme for Station Square and a level sponsored by AT&T, but since SegaNet shut down this is no longer possible. A sonic speed adventure arwingstarfight..
5 words: Ahh Yeah! This is Happening! Works great! I have no complaints with it, especially sense my computer having such low ram and that it has a very outdated graphics card. It actually works if not, perfect, than almost perfect. The game is not working. how do I start it without and error? For a couple of days I was stuck on the time screen, unable to control anything. Then I happened to enter fullscreen mode and there it began to work, somehow, someway. I'm not understanding this at all. It keeps telling me "Emulation is started, plugins can't be changed now." I hit "Yes", then what would I need to do? I can actually get to the bootup screen, but I can't enter the date and time. What would I need to do to use a keyboard in order to enter them so I can play the game?